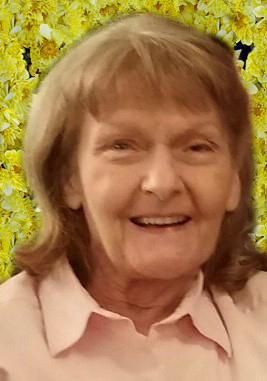 Obituary for Connie Houck | Esterdahl Mortuary and Crematory, Ltd.
Connie L. Houck, 74, of Moline, died Tuesday, October 30, 2018, at Rosewood Care Center. Per the family’s request, cremation rites have been accorded and private services will follow. Esterdahl Mortuary & Crematory, Ltd., is assisting the family. Connie was born on January 12, 1944, in Shreveport, LA, the daughter of J.B. Johnson and Dolly Johnson. Connie held a variety of occupations, which included being a foster parent, a childcare provider, a homemaker, and she was an ordained minister. She enjoyed attending church services and feeding the birds at Rosewood. Most of all, family was everything to her. Survivors include her son, S. Robert (Dixie) Houck, Maryland; daughter, Louann (Michael) Whitaker, Le Claire, IA; grandchildren, Sarah (Matt) Dotson, Matthew (Ashley Fasano) Nazari, Nathan Nazari, and Brandon Nazari; step grandchildren, Ashley (Robert) Bramblett, Sarah Whitaker, Seibra Zientek, Carson Zientek, and Brandon (Ashley) Teagle; great grandchildren, Zoey Dotson, Emmett Bramblett, Rylee Cole, Dallas Zientek, Jamie Zientek, and Blane Teagle; siblings, Betty Anne McIlwain, Dottie Hobbs, and Benjamin Johnson.